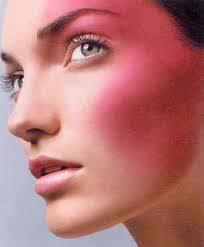 The vascular and inflammatory components of facial rosacea are often hard to treat. Topical treatments often don’t reach deep enough and oral treatments only target one or two dysfunctions. Thus, we incorporated Maqui Berry Superfruit into Rosadyn+ to target the primary causes of facial rosacea: (1) Vascular dysfunction and damage, (2) Chronic inflammation in and around facial skin cells and (3) Inhibiting the activity of multiple pro-inflammatory enzymes that drive the vicious inflammatory cycle and progression of the disorder. Maqui Berry is ideally made to treat rosacea because it is the single best anti-inflammatory available, it has the highest antioxidant value of any molecule, it protects and repairs broken rosacea blood vessels, and it turns off key inflammatory enzymes. This is all done by Maqui Berry’s three main — and very unique — active ingredients: Delphinols, Anthocyanidins and Polyphenols. Anthocyanidins are one of nature’s most potent blood vessel healers. They repair weak, fragile and damaged rosacea blood vessels by activating key repair enzymes within the blood vessel walls. Anthocyanidins incorporate themselves into the blood vessel wall to physically strengthen the blood vessel and greatly reduce vascular hyper-reactivity such as flushing frequently, blushing and remaining in the dilated state for an abnormal length of time. In many cases, anthocyanidins can repair broken blood vessels — telangiectatic vessels — but, if they can’t, they will signal immune cells to migrate to these vessels, break them down and remove them from rosacea-affected skin. This is a tremendous benefit as telangiectatic vessels rarely dissipate spontaneously. Anthocyanidins also reduce uncontrolled overgrowth of blood vessels (angiogenesis) which is central to the entire disease process. The unique combination of flavonoids and polyphenols in Maqui Berry make this extract quite unique and extremely potent. Due to the combination of unique molecules, Maqui Berry is the single best free radical scavenger (antioxidant) yet discovered. 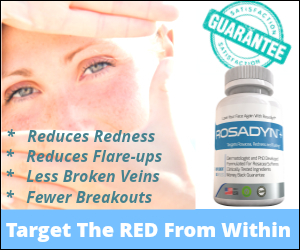 This is important because free radical inflammation and damage are central to rosacea symptoms. They must be quenched for rosacea sufferers to truly break the inflammatory cycle of rosacea. It is also important that Maqui Berry scavenges dozens of different free radicals… which is also unique to this superfruit. 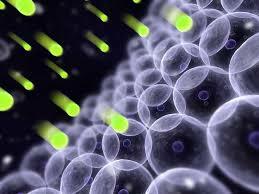 Most compounds only scavenge a few free radicals and let the rest continue to promote inflammation. Lastly, Maqui berry is in a class of its own because it scavenges these dangerous free radicals outside of skin cells and inside the cells walls — tackling water-soluble free radicals and fat-soluble free radicals. Maqui berry reduces chronic inflammation caused by free radicals, and this, in turn, reduces the activity of some inflammatory enzymes. Delphinols in Maqui Berry are truly unique compounds and can only be found in Maqui Berry extracts. These Delphinols physically bind to enzymes and turn them off. Delphinols also have strong anti-inflammatory actions independent of enzyme activity — they work synergistically with the flavonoid free radical scavengers and the anthocyanidin vascular anti-inflammatories. This synergism among active molecules is rarely seen in nature, but makes Maqui Berry Extract one of the most potent rosacea fighters in Rosadyn’s arsenal. You will find hundreds of brands of Maqui Berry Extract in the market place. Please understand that many of these extracts are worthless because they were extracted with high heat, alcohol and strong solvents — all of these denature and inactivate the key compounds in this superfruit. Other brands are not standardized and do not mention the percentage of Delphinols, Anthocyanidins, Polyflavanols and Flavanoids contained in each capsule. Be very careful when researching the different brands of Maqui Berry Superfuit — it could make all the difference in the world — and your face will thank you!. You know the quality that you get with Rosadyn+. It’s always pharmaceutical grade, clinically tested extracts that are removed without the use of high heat, alcohols or dangerous solvents.